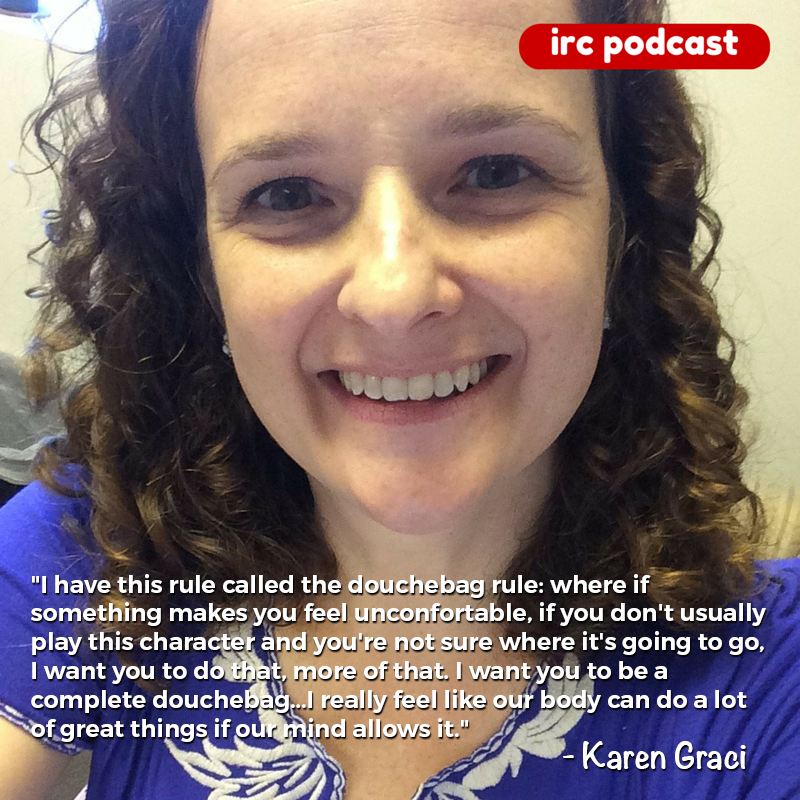 Karen Graci is a coach and performer at iO West. She is also a writer for Girlboss, a new Netflix show in production. We talk about about coaching Harold teams, openings, group games, short form, and Vertical Harolds. Karen Graci is a coach and performer at iO West. We talk about about coaching Harold teams, openings, group games, short form, and Vertical Harolds. She can be seen performing with King Ten at iO West. Special thanks to Camp Improv Utopia East where this podcast was recorded. Come to Chicago for Improv Bootcamp in July or August. Take my class at the Clubhouse in LA. Find out more about Camp Improv Utopia.